I always thought cast-iron pans were expensive. Turns out you can get an affordable cast iron frying pan for less than $20 these days. They're heavy of course, but they'll last for generations. The Lodge Logic cast iron fillets are made with an extra handle for easy lifting and moving about the stove and two side spouts to make pouring sauce or juice easier. The main advantage of cast iron is that once hot, they remain hot. This means your food will be fried to an even temperature. They're also very sturdy pans which can be used on open fires, in the oven and of course on the stove. Cast iron pans will last a life time and beyond. The cast logic pans come pre-seasoned with their own vegetable oil mix. This means you can use them out of the box. Clean well using hot water and a scouring pad, no soap. If really crusty, you can just put them in a self-cleaning oven and let the oven do the heavy lifting. Getting rid of cooked on charcoal and stuff really can get tough if you don't let heat do the work for you. Half an hour on a campfire or hot charcoal fire will work as well. Dry the pan with cloth or paper. Don't let the moist dry on the air, you'll be creating new rust. Put the pan in the oven at 200 F for a few minutes to dry the pan fully and open up the pores in the iron. Using linseed (aka flaxseed) oil coat your entire pan. Make sure it's a foodgrade oil that's within date and hasn't gone rancid. Using paper or cotton towels, clean OFF the flaxseed oil entirely. Yes really: this will make sure you don't overdo it, and there WILL be flaxseed oil left on the pan, just a very fine film of it. Since you started with a seasoned pan, this will get you a pan that's good enough for cooking and frying, but the experts do recommend redoing this 6 times to be sure! However, this is the way to season the pan that will last longest, which is definitely worth something in my book. Other seasoning oils and fats include Crisco or bacon drippings. They will do the trick, but the seasoning will wear off more quickly. The reason vegetable oils are reputed to leave you with a sticky pan is that they are put on in layers that are too thick, or not heated well enough. 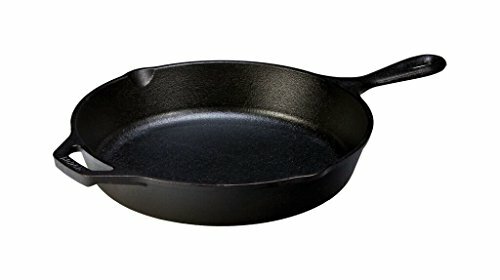 Conclusion - Cast-Iron or Non-Stick? After doing the research for this article, I was a bit scared off about the whole 'seasoning the pan' thing. It's a lot of work, apparently. However, I do like the idea of having a pan which I can actually personally fix when the surface starts sticking. Non-stick pans may be easier to use from the start, but once the non-stick surface is torn, there's no help for it. 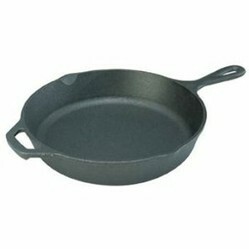 I have an urge to go run to the store right now and get one of these cast-iron pans. There are two reasons I recommend flaxseed oil above: one, it's the best oil for the job. two: I'm a vegetarian and would never recommend using any animal products. My pages on Wizzley as well as links to my main online hubs elsewhere. 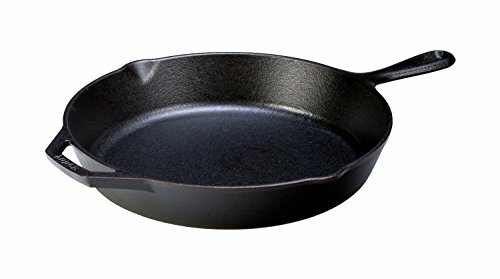 Do you have any experience with using cast iron pans and re-seasoning them? All my years living abroad, I cooked without cast iron. Many times I wanted a cast iron skillet, but the weight kept me from taking one over. But now that we are back in USA, someone gave me a hand-me-down skillet. It is amazing! I had forgotten how TRULY wonderful cast iron is. Nothing sticks to it. And it lasts forever. Literally. I have a small cast iron frying pan that I love for making cornbread! The only way to make great cornbread for sure! yummy! I have one of those Lodge Logic cast-iron skillets and boy, they are robust. A bit heavy for everyday use, but fabulous for frying steaks and taking along on camping trips. I don't have to worry when I put them on the campfire. I also de-glaze with a bit of liquid after frying, which makes a great base for gravy and also helps with the cleanup. It's a must-have pan for every kitchen.